EPJ Plus has the great pleasure to announce the appointment of Professor Paolo Biscari as deputy Editor-in-Chief of the journal. 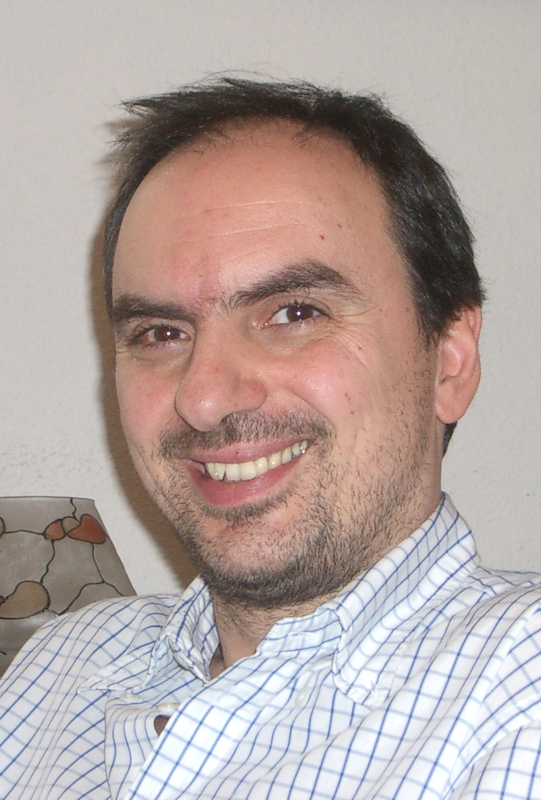 Paolo Biscari is Full Professor in Condensed Matter Physics at the Department of Physics of the Politecnico di Milano. At Politecnico di Milano he is Dean of the PhD School, which coordinates the researches of approximately 900 PhD candidates. He is Deputy Editor-in-Chief of the European Physical Journal Plus, and member of the Editorial Board of the Springer Book Series "Unitext". His research is focused in the soft matter area, and more specifically in liquid crystals, elastomers, and critical phenomena. He has been Invited Professor at the Universities of Southampton and Minnesota, has published more than 60 research papers in international peer-reviewed journals, three books, and has contributed to approximately 50 international congresses as Invited Speaker. He has directed as PI several research grants and contracts, awarded from both public Institutions and private companies. In 2004, he earned the Bruno Finzi Prize, awarded by the Istituto Lombardo, Accademia di Scienze e Lettere, for his research in Applied Mechanics. 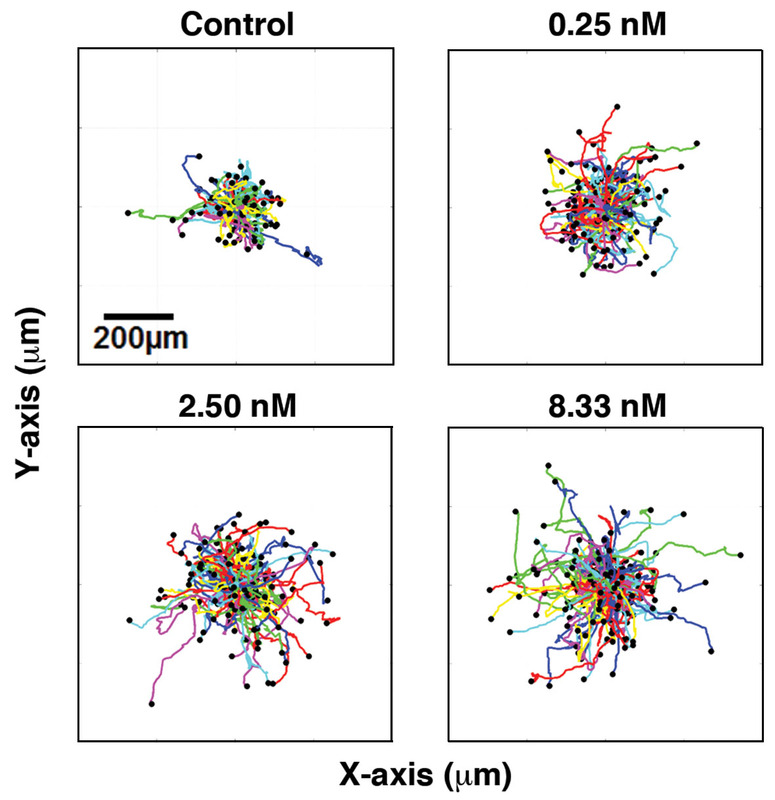 Plots of single-cell trajectories stimulated by different levels of epidermal growth factor. The micro-environment surrounding cancer cells is just as important as genes in regulating tumour progression. Scientists have therefore examined the biophysical and biochemical cues occurring in the vicinity of cancer cells. This represents a departure from the traditional measurement of secreted molecules, called biomarkers. The latest research in this field, recently published in EPJ Plus, found that the presence of a substance called Epidermal Growth Factor (EGF) promotes the motility of elongated mesenchymal tumour cells, which migrate depending on their adhesive properties by climbing along collagen fibres, in contrast to rounded tumour cells, which migrate in an adhesion-independent manner. These findings stem from the work of Dongil Geum and BJ Kim in the Wu biofluifics lab at Cornell University, Ithaca, New York, USA. One of the most important issues that the neutron community is currently facing is related to the lack of 3He for detection purposes. This problem has triggered an interesting and stimulating research and development activity worldwide, with the aim of finding effective and cheap solutions for 3He replacement. With the advent of new materials, advanced electronics and more powerful real time computing tools it has now become possible to investigate novel designs of neutron detectors to be used in various fields of research and technology, and to address the needs of more sophisticated applications. The aim of this issue is to present an up-to-date, although not exhaustive, review on the R&D activities on 3He-free neutron detectors, with the aim of generating further discussions and activities on the subject, stimulate synergies between groups with different expertise, and show examples of existing neutron sources where new detectors and techniques can be tested and validated. This EPJ Plus Focus Point addresses all aspects related to the design of an innovative 3He-free neutron detector, from the development of new detection concepts and active material, to fast front-end electronics and acquisition systems, to the availability of neutron beams of suitable energy for detector characterization. EPJ Plus Highlight - Does that “green” plasticiser make my PVC flexible enough for you? A snapshot of the simulated PVC/DOP system at a 30 wt% PVC concentration after minimization. Red, green, yellow and blue spheres represent O, Cl, C, and H atoms, respectively. What gives plastic objects their flexibility and reduces their brittleness is the concentration of plasticiser. For example, a chemical solvent of the phthalate family called DOP is often used. The trouble is there are concerns that phthalates present health risks. So there is a demand for more alternatives. Now, scientists from China have examined the effect of using DEHHP, a new eco-friendly plasticiser, used in combination with PVC. For a plasticiser to work, there has to be adequate hydrogen bonding with the plastic. By combining experiments and simulations, the team revealed why the polymer-solvent hydrogen bonding interaction's strength decreases with dilution at a molecular level—which is a phenomenon also observed in the DOP-PVC combination. These findings have been published in EPJ Plus by Yang Liu from Nanjing University and colleagues. Illustration of the experimental setup used for calibrating irradiation. Thermoluminescence is used extensively in archaeology and the earth sciences to date artefacts and rocks. When exposed to radiation quartz, a material found in nature, emits light proportional to the energy it absorbs. Replicating the very low dose of background radiation from natural sources present in quartz is a key precondition for precise and accurate dating results. Italian scientists have now developed a method to control the accuracy of the dose calibrations delivered to the samples during laboratory irradiation with heavy particles, replicating natural radiation exposure. 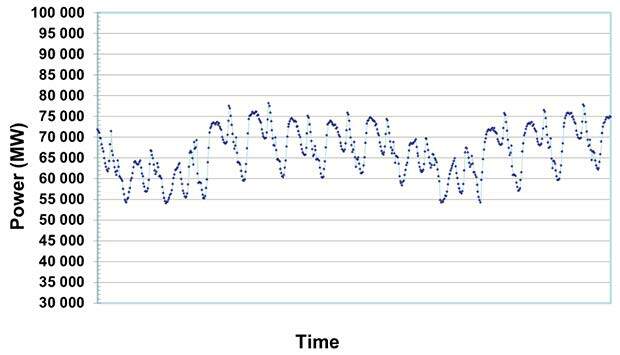 These findings have just been published by Lara Palla from the National Institute of Nuclear Physics (INFN), Italy, and colleagues in a paper in EPJ Plus. Using oxygen and lithium ions from the Tandem accelerator at INFN LABEC in Florence, they found that their measurements were accurate to within 1%, despite large fluctuations in the irradiation beam. Contours of the Mach number near the stack at phase π under the limit cycle. Thermoacoustics is the physics of the interaction of thermal and acoustic fields. The nonlinear acoustic effect and low Mach number compressible flow in thermoacoustic engines make the theoretical analysis of such systems extremely complicated. A new study investigates the nonlinear self-excited thermoacoustic onset in a Rijke tube via the lattice Boltzmann method (LBM), which simulates the fluid flow by tracking the evolution of particles and obtains flow stream and heat transfer patterns from the kinetic level. The adopted LBM model, which was developed by the authors, convincingly simulates the Navier-Stokes-Fourier equations, treating accurately the nonlinear process of wave excitation of coupled fields and providing reliable estimates for pressure, density, velocity and temperature in such a finite geometry. Interaction between ultrashort pulse laser and a target. The race for ever more efficient and cheaper solar cells tests the limits of manufacturing. To achieve this, photovoltaic solar cells need to become thinner and are made of more complex inner structures. Now, Italian scientists have investigated and expanded a model elucidating the dominant physical processes when ultra-fast lasers are used in manufacturing solar cells to these specifications. An article by Alberto Gurizzan and Paolo Villoresi from the University of Padova in Italy detailing this model has now been published in EPJ Plus. How does an electric (or magnetic) dipole behave in an electromagnetic field, when its velocity becomes comparable with the speed of light? This problem has been solved for the first time in a paper recently published in EPJ Plus, where novel relativistic effects were found. In particular, it has been shown that the concept of “hidden” momentum of magnetic dipoles in an electric field, being disputable up to date, is strongly required to derive relativistically adequate solutions. Moreover, a novel concept of “latent” momentum of electric dipole should be also involved into the description of dipoles. Two weeks taken from the 2011 chronicle of the time dependence of the power demand in the French metropolitan territory. © Bonin et al. Increasing reliance on renewable energies is the way to achieve greater CO2 emission sustainability and energy independence. Yet, because such energies are only available intermittently and energy cannot be stored easily, most countries aim to combine several energy sources. Now, in a new study in EPJ Plus, French scientists have come up with an open source simulation method to calculate the actual cost of relying on a combination of electricity sources. Bernard Bonin from the Atomic Energy Research Centre CEA Saclay, France, and colleagues demonstrate that cost is not directly proportional to the demand level. Although recognised as crude by its creator, this method can be tailored to account for the public’s interest—and not solely economic performance—when optimising the energy mix. The alleged Contraste de formes, an oil on canvas from the Peggy Guggenheim Collection, Venice, was proven to be a fake. © Caforio et al. Choosing the right physical technique to analyse paintings can make all the difference when it comes to ascertaining their authenticity. 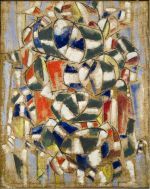 Now, a painting initially attributed as belonging to a series called ‘Contraste de formes’ by French Cubist painter Fernand Léger has definitely been identified as a forgery. This is the first time it has been possible to identify a fake painting by relying on the anomalous behaviour of the concentration of the radioactive form of carbon (14C) in the atmosphere after 1955 to date the canvas. These findings were recently published in EPJ Plus by Mariaelenea Fedi of the National Institute of Nuclear Physics (INFN) in Florence, Italy, and colleagues.